The Victorian Football Association (VFA) had no finals system in place between 1877-1902, in the event of two teams finishing tied for first place (based on their win-loss record), they would contest a playoff match to determine the premiership. By modern standards where the season builds to a September frenzy, such an end to the season seems devoid of excitement but finals fever was a foreign concept in football's early years. It took the Collingwood-South Melbourne end-of-season playoff in 1896 to alert the game's administrators to the potential of such matches. The breakaway Victorian Football League introduced finals in their first season (1897) but the VFA did not follow suit until 1903 with a system that involved two semi-finals and a final contested by the top four teams. The side that finished the home-and-away season in first place was declared the Minor Premier and, if defeated, held the right to a challenge final, meaning the top team always played-off for the title. The system was changed in 1933 to ensure four finals each year, culminating in a Grand Final. The minor premier's right of challenge was also removed in favour of a double chance, meaning the top team was no longer guaranteed a place in the Grand Final. There have been some amazing scores, bizarre incidents, huge bags of goals and a wide variety of records set over the years. Listed below is a treasure trove of VFA-VFL finals information, including a full list of 2nd Division Grand Final results - the first such list to appear online or in print. Click on the links below to view all Grand Final results from 1877 to the present day. - the column labelled "LP" indicates the ladder position of the Grand Final teams at the end of the home-and-away rounds. - crowd figures marked with an asterisk (*) indicate a discrepancy between sources. A list of the discrepancies can be found here. 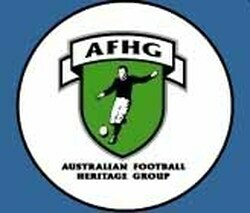 - grey shading indicates former VFA-VFL clubs. - (parentheses) indicate Second Division premierships. These are not included in official totals.